Probably still better than fat camp. Tourette camps are the best s$^t *$^@! * &%&@(&% @(&%@ %(@&%. 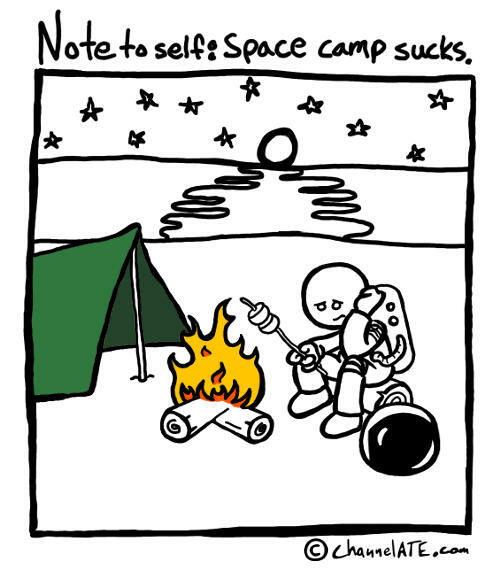 Population is kinda low at space camp huh? The face says it all. Poor fellow.